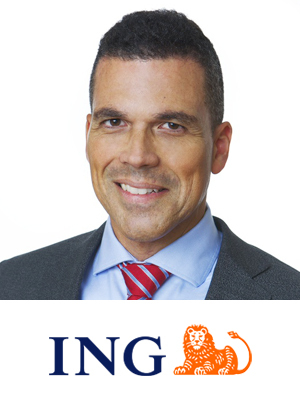 Armand Ferreira has been working for ING since 1996. Since his graduation in Business Economics at Erasmus University Rotterdam, Armand has had several roles at ING as Product manager, Project manager and Head of Private Banking Project Bureau. In 2004 Armand joined the client coverage department as Deputy director of ING Bank Amsterdam-Zuidoost, to become Director of ING Trust Clients & European Business Desk Amsterdam in 2008. After another 5 years as Senior relationship manager at ING Corporate Clients, Armand became Director at ING Sustainable Finance in 2015. In his current role, Armand is responsible for leading ING’s corporate clients in their transition to more circular and sustainable business. He has dialogues with clients on their sustainability strategy, energy transition and solutions to their financing needs.